Please note that this title includes picture content alongside the audio. 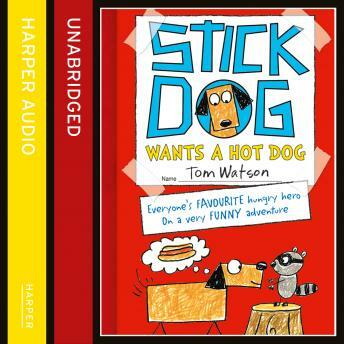 Stick Dog is back in his second hilarious and hugely illustrated adventure. This time he and his pals are hungry for hot dogs but they need a plan... a must-have for fans of WIMPY KID and BIG NATE. With laugh-out-loud artwork, and an adorable four-legged hero, Stick Dog's quest for a delicious dinner is destined to be Top Dog. More STICK DOG adventures coming soon.